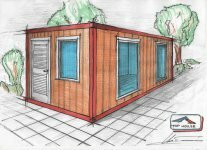 Prefabricated houses, containers, caravans, cabins, pavilions, kiosks, modular steel structures from TOPHOUSE LTD.
Our containers are of metal prefabricated modular constructions at reasonable prices, individual design, suitable for residential, office, warehouse, construction and other containers. Our containers are the product of leading technologies and advanced design for manufacturing ideas. 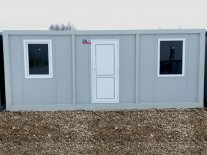 The dimensions of the standard 20-foot container (with ISO 668) are: - Length 6058 mm, width 2438 mm, height 2591 mm (20 feet, 8 feet, 8 feet 6 inches). Standard 20-foot container is known as TEU (twenty-foot equivalent unit) containers. TEU is an inexact unit of cargo capacity often used to describe the capacity of container ships and container cargo volume handled in a container of container terminals. 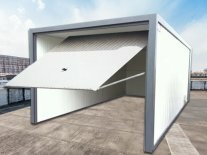 Vans are suitable for living like other containers, temporary construction buildings from containers, caravans and more. Vans - the advantage is that they are on wheels and can be attached to various trailers. From vans can not make configuration of containers. In one van the most important part is the floor base - fiber cement (concrete surface for containers). 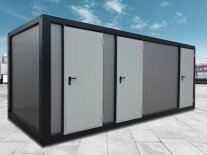 Our modular containers - a flexible solution at low prices on individual projects for homes, offices, building houses for temporary living, and other commercial objects and more. 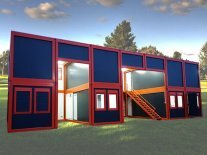 Since 1984, assembly for intermodal containers known as double modular container (two-storey containers) is becoming more common. 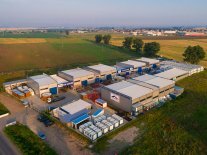 The concept of modular containers increased by nearly 70% the volume of intermodal shipments in the United States. 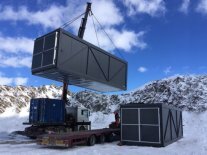 The design of two-storey modular containers significantly reduces transport damage and provides greater security for double-decker container from the lower single containers. 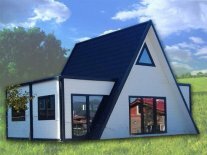 Prefabricated houses of metal modular construction made by Light-Gauge Steel System method - Top House Ltd. is the first company in our market offering American prefabricated houses for living. 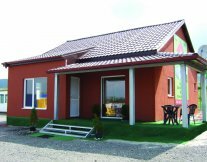 Prefabricated houses are a type of buildings whose construction using prefabricated modules which are assembled at the construction site. At significantly lower prices than the price for solid construction. 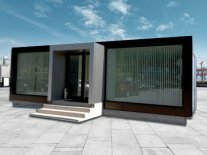 The advantages of prefabricated construction are notable mostly for prefabricated buildings for living - one-or two-story prefabricated houses. 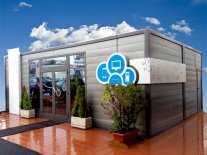 Containers office is mobile office, built on a platform with wheels - office van towed by a truck, office container on wheels, a trailer or shipping container built. 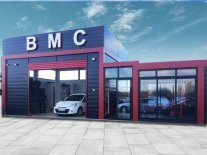 Most common are towing office containers built on an iron frame - vans for easy moving. 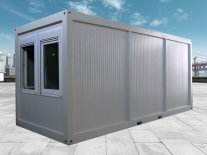 Mobile office containers often have on construction sites or places of a disaster that need temporary office space. 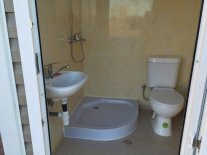 Our residential containers and vans for living are a cozy and comfortable solution at prices for everyone. 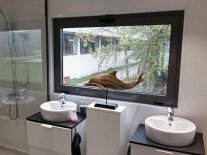 Individually designed, they are suitable for for all kinds of furniture, modular kitchens and furnishings. 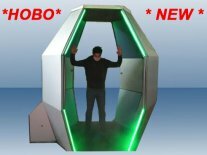 They are assembled from containers, the product of leading technologies and advanced design ideas. The steel construction complies with the requirements for energy effectiveness and eco-design. 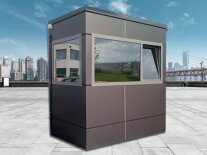 Residential containers for living and vans for housing, usually abbreviated as "CHU" (and is sometimes called Containerized Living Unit or "CLU") is the name given to an ISO standard shipping container made for living accommodation of containers.